UAV’s, or Drones as they are often called, have exploded into geospatial applications over the past few years. They offer a cost effective method to deploy and capture imaging that can be processed using photogrammetric methods to generate such diverse deliverables as DEM’s, volumetric analysis or simple images that can be used to record progression of construction projects or lifecycle status of infrastructure. As an Aerial Imaging service provider, our company has tested and continues to test various UAV platforms and sensors. However, they are not without their limitations, and perhaps unfairly, we tend to compare the results to our manned aircraft products. And we have had some issues with the quality of the images for generating the accurate data that our clients have come to expect from us. First, let’s examine the regulatory restrictions. 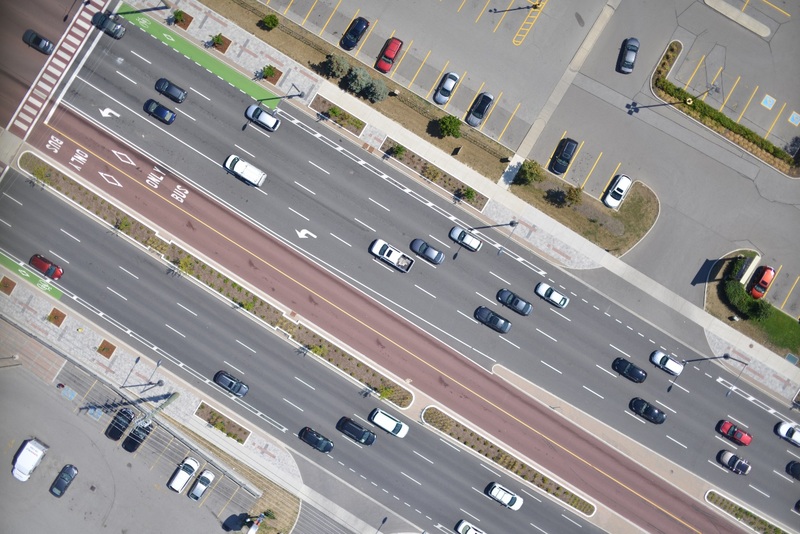 Transport Canada¹ allows limited use of UAV’s Beyond Visual Line of Sight (BVLOS) under SFOC, and only for certain pre-approved platforms and operators. This impacts their effective use on long linear projects such as roadways, rail lines or pipelines. Unless an SFOC is granted from Transport Canada, updated (2017) restrictions on where they cannot be used include within 5.5 km of an Aerodrome, 1.8 km from an aerodrome or heliport used exclusively by helicopters, and over built-up areas. This latter category includes all towns and cities. For Drones over 1 Kg, they must be kept at least 30m from people, vessels or vehicles. They cannot be flown within 9 km of any natural hazards or disasters. Drone operators will be required to get a pilot permit that is specific to small drones, have liability insurance, register and mark their device according to Transport Canada requirements, follow a set of flight rules, and only operate a UAV that meets a design standard acceptable to Transport Canada. Permits will be differentiated by UAV weight and the complexity of the application – simple vs. complex. 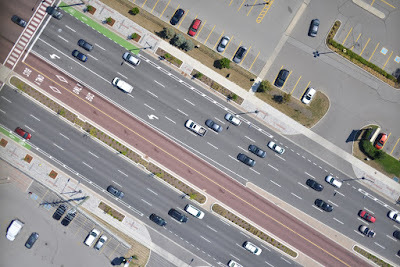 Transport Canada also deems most Urban areas as “complex”, and under new proposed guidelines, operators will be required to pass a written knowledge test to obtain a pilot permit specific to small drones, as well as register the UAV with Transport Canada (since the complex operations category is most similar to manned aviation, there will be fee for registering drones operated in this category). Fees have yet to be published for both registration and the test. Also, despite the best efforts of various levels of government and public safety officials, as incidents continue to occur between manned and unmanned aircraft (both near-misses as well as collisions), the regulatory environment will continue to tighten. Low engine power, short flight duration, difficulties in maintaining flight altitude, aircraft stability and manoeuvrability in winds and turbulence. A limited payload, generally 20–30 % of the total weight; this limits the type of camera or sensor system that can be attached. The light weight of many UAVs means a less stable camera position resulting in different spatial resolution. Commercial UAV’s tend to be larger, heavier and more stable, such that some of the technical limitations discussed above are mitigated, but this larger size and weight also means that every mission requires a Special Flight Operations Certificate (SFOC), if they are over 25 kg. In actuality, despite Transport Canada’s categorization, any commercial operation in all practicality requires an SFOC. On the other hand, manned aircraft used for Aerial Imaging do not operate under these restrictions or limitations, other than not flying below 300 m AGL over built up areas (but this doesn’t affect the quality of the deliverables). However, the cost to contract a manned aircraft equipped with professional Aerial Imaging sensors is typically substantially more than the cost of obtaining a UAV survey – until now. 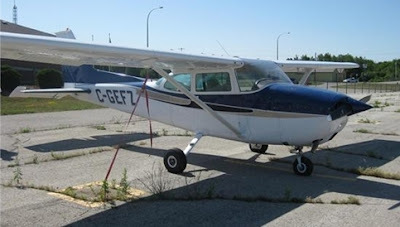 Our company has recently installed and been testing a high-quality DSLR that has been mounted and bore-sighted on a Cessna 172, and the results have been impressive. We replaced the original manufacturer’s lens with a higher quality optical glass that minimizes lens distortion. The image below is of high enough quality to produce orthophotos and generate 3D mapping. We tested this solution after being contacted by a municipality looking to understand differences in pre- and post-LED light installation, but that had a restricted budget. One campaign was flown recently to provide a base-line for comparison, and the entire city will be flown again once the streetlights have been upgraded. This medium format solution is flown at lower altitudes, and with a smaller footprint, therefore produces a narrower swath. But it can be mounted in a smaller plane such as the 172, which is more fuel-efficient. We’ve also installed a triggering system for the pilot, eliminating the need for a separate camera operator. The associated cost-savings make this an affordable solution for smaller campaigns, but with higher-quality deliverables than can usually be obtained from UAV’s. 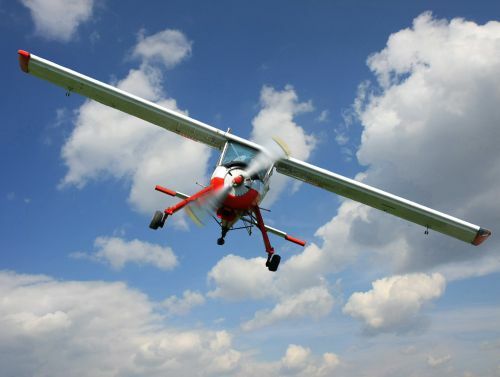 And best of all, once a flight plan is filed, there’s no restrictions on when or where we can fly!